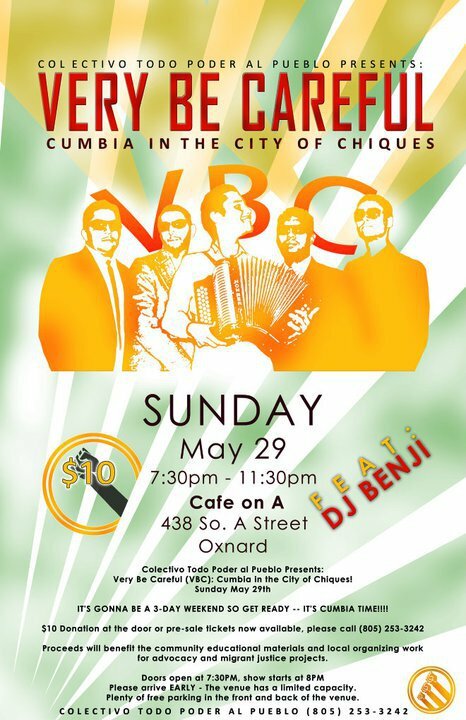 Very Be Careful in the city of Chiques/Oxnard! Proceeds will benefit the community educational materials and local organizing work for advocacy and migrant justice projects. Tacos and Refreshments with suggested donation! Please arrive EARLY-the venue has limited capacity. Plenty of parking in the front and back of the gallery/center. This entry was posted in Movilizar // Actions. Bookmark the permalink.